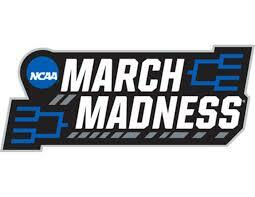 Having trouble finalizing your bracket? Let us help you out with our analysis of the first round games as well as picks for the rest of the tournament. Good luck and get ready for the madness! Let’s see… Duke is a favorite to win the tournament in many brackets, Duke has three players that will be top ten NBA draft picks, and Duke has an elite and experienced coaching staff. The other team is a 16 seed. Seems like an easy pick. While Duke may be a terrible 3-point shooting team, their pure star power and ability to score in transition will make this a very fun team to watch this year. This was the hardest 8 vs. 9 matchup for me to decide on. While VCU works well on both sides of the ball, there’s a certain spark in UCF that I believe will give them the edge. That and their 7’6” center Tacko Fall. Listen, I know you’re really looking for a 12 over 5 upset, and I respect that, but this ain’t it chief. Liberty is an interesting team that has been rolling lately, but their schedule strength leaves much to be desired. This will be their toughest game all season, and the underrated Mississippi State will prove too much for them. Saint Louis seems like the perfect Cinderella story. A team that wouldn’t have made the tournament by record alone rallies through their conference championship and punches their ticket to the tournament. They then use their momentum to push past their first and maybe second round and make the Sweet 16. Unfortunately, Virginia Tech is just too strong of a team. With a very talented coach and some wins under their belt against elite teams during the regular season, Virginia Tech’s skill will overpower any momentum Saint Louis has. Despite this being a popular upset pick, I wasn’t completely sold that Belmont would be able to pull it off. However, last night I watched Belmont face off against Temple for this spot in the tournament. While it was back and forth at first, by the end, Belmont had complete control of the game. After such a commanding performance, I have officially jumped aboard the Belmont hype train. Their game management combined with Maryland’s inability to make jumpers and threes results with Belmont getting the upset. Trust me, I would love to put Yale here. Ever since the firing of their coach, many have predicted that their chances in this tournament have plummeted. Plus, Yale’s coming off of winning the Ivy League championship over Harvard. However, while dysfunction in leadership positions is a large warning sign, LSU has too much talent on that team to go down first round. Hmm… now do I pick the well-established Louisville basketball program, or do I go with the Golden Gophers? While I typically like to pick teams with more experience in the tournament, my gut tells me to go-pher the upset. Minnesota’s size and strength will give them the edge they need in this matchup. I’m sorry Bradley, but nothing good comes out of Peoria, Illinois. Coming hot off their Big Ten championship, Michigan State will quickly show Bradley the door out. Their ball movement and well-rounded team will carry them far this year. DoEs ViRgInIa LoSe To A sIxTeEn SeEd AgAiN?!? In short, no. Virginia has a better offensive this year to complement their patented strong defense. Sorry Gardner-Webb, but you missed winning as a sixteen seed against a better team by one year. Unfortunately, it wouldn’t be March Madness without Virginia choking eventually. Hopefully, it will be deeper in the tournament than last year. I like to call this game the “Who really cares?” game. While 8 vs. 9 matches can be very interesting, there’s nothing all that inspiring about either of these two teams. I’m taking Ole Miss just because I feel that Oklahoma got a better seed than they deserve. Once again this seems to be a popular upset pick, especially after Oregon won the PAC-12 tournament. But here’s a little secret: the PAC-12 is really bad this year. Sure, they have a bit of momentum, but they’ll be up against a higher caliber of teams. While the Ducks may be very quick, Wisconsin’s unique style of offense will put an end to Oregon’s winning streak. What I’ve always loved about college basketball is how much emotion can influence a game. It makes results unpredictable and the sheer number of upsets possible. With that in mind, let’s look at these two teams. UC Irvine just won the conference championship after entering as a #1 seed. Now, they got momentum and a chance to compete against the best teams in the country, and you know they’re going to deliver. On the flip side of the coin, Kansas State lost one of their best players to injury, which can be crippling for moral. While Kansas State is the more talented team, UC Irvine will come to play and leave having pulled off the upset. I want to clarify an important difference. Villanova is worse than they are last year, but they are not a horrible team. Many people are writing them off as not having a chance of going deep just because they aren’t as good as their championship-winning team last year. Don’t make that mistake. Sure, the team’s success is very dependent on whether or not their hitting threes, but their coach knows how to go deep in this tournament. While Saint Mary’s may be hot after their win over Gonzaga, that was the result of a terrible game on Gonzaga’s part rather than excellent play on Saint Mary’s part. While Purdue may have been overshadowed in the Big Ten by Michigan and Michigan State, they are undeniably talented. Their powerful offensive and experience in the tournament will easily trump the underwhelming Old Dominion team. Cincinnati may just be the hottest team coming into this tournament. While they lost their last two games before the AAC tournament, their performance in the tournament, especially their dominating win over a very talented Houston, inspires a lot of confidence. Beating Iowa won’t beat a cake walk, but their relentless pace will give them the edge. Tennessee may just have the strongest offense in the entire tournament (yes even over Duke). Their fatal flaw: they don’t play defense. They typically rely on just outscoring the other team. However, they’re able to make shots from anywhere on the court, and their incredibly powerful offense will decimate Colgate. Look for this game to have the largest score margin in the first round. If there’s any team that has the best chance of pulling off the 16 over 1 upset, it’s probably Iona, as they have the most experience in the tournament. However, that’s like saying I have a chance of doing a back flip. More than likely, Iona will fall flat on their face. UNC is incredibly talented and, most importantly, has incredibly talented juniors and seniors with experience in the tournament. They have a good chance of winning this whole thing. Don’t get cheeky. Pick the 1 seed. I’ve said it before and I’ll say it again: the Pac-12 is not good this year. Plus, Washington ended their mediocre season with a tough loss to an Oregon team that would’ve struggled to make the tournament without winning the Pac-12. Give me the surprisingly well-rounded Utah State in this western battle. Auburn is inconsistent. New Mexico State is a frequent threat in the NCAA tournament. It seems like a good chance for an upset to occur. However, I just can’t see Auburn coming off their incredible 20-point win over Tennessee and then losing to the Aggies. Their offense is a force to be reckoned with, and as talented as New Mexico State is, I just don’t think they’ll be able to keep up. I get it. Kansas is like a soda you left out overnight. They’re flat and not that exciting. But they’re still Kansas. Just like Villanova, they aren’t as talented as in previous years. However, their exceptional coach and history in the tournament tell me that they just won’t lose first round. They also got lucky, in my opinion, as they drew the worst 13-seed. Rock Chalk baby. Fair warning, I am a huge Ohio State. I think they’re underrated this year because their record is a bit watered down from their incredibly difficult division. They’ve got a talented starting five and are a pretty good shooting team across the board. And yet, they’re going to lose first round. Iowa State, as inconsistent as they may be, always put on a good show when March rolls around. And on the topic of rolling, their dynamic offense will keep rolling after their Big 12 championship and take down Ohio State in what I can only hope will be a close game. Here’s a fun fact: Houston has only lost 3 games this entire season. That’s tied for the best of any team in the top 25 teams in the nation. Houston has the weapons on this team to win this whole tournament. Plus, they’re back with a vengeance after a one-point loss to the tournament runner-up, Michigan, last year in the second round. Houston is too dangerous of a team to lose first round. I can’t tell you exactly why, but I have fallen in love with Wofford. This Southern Conference team when completely undefeated in conference, which is a noteworthy feat even if they’re conference isn’t super strong. What really impresses me about this team is their ability to shoot the three. They have the best 3-point percentage of any team in the tournament at 41.6%. While Seton Hall is a strong team with lots of tournament experience, Wofford will out shoot them and advance to the second round. Perhaps the blue-est of the blue-bloods schools, Kentucky has a strong team this year. Their combination of a well-rounded starting five, a hall-of-fame worthy coach, and plenty of tournament experience makes this pick pretty simple. Congratulations to FDU for winning their play-in game. Enjoy it! You won an NCAA tournament qualifying game. That’s a major feat! Soak it in! Alright, you good? Great, now prepare to be absolutely decimated by angry Gonzaga team. Listen, we know Gonzaga has a history of choking during the tournament, and their loss to St. Mary’s doesn’t help their rep. It seems every year, people doubt Gonzaga’s chances of even making it to the Elite Eight. Well, stop it right now. This Gonzaga team is incredibly talented, but don’t just take it from me. Take it from their number one overall ranking for much of the season. Their team is well-balanced and has incredible chemistry. Add to this that their star forward Killian Tillie is healthy again, and there is no way Gonzaga drops this one. In our final 8 vs 9 game, we have what will likely have a battle that comes down to the very end. While both teams have shown signs of greatness, my vote has to go to Syracuse. They’re a frequent bracket breaker during March, and they do have a win over their Duke under their belts. The one issue is their starting guard, Frank Howard, was just suspended and will miss this game. However, I think Syracuse still pulls through. I believe it was Outkast that once said “What’s cooler than being cool?” to which the proper response is “Marquette”. While they looked like a team to be reckoned with at the beginning of the season, they’ve lost 5 of their last 6 games. That’s not the way you want to be trending going into the tournament. Ja Morant will put the team on his back and carry them through the first round. I don’t understand how people 1-4 years older than me can be so freaking tall, but lo and behold there’s Florida State. This team made waves when they beat Virginia in the ACC tournament, and despite their loss to Duke, I believe they’ll carry that momentum into the tournament. Unfortunately for Vermont, the got stuck with the one 4-seed that probably should’ve been a 3-seed. Buffalo is red-hot coming into this tournament. They’re currently riding a 12-game winning streak that led them to win the MAC tournament. Simply put, look for them to keep stampeding and extend this streak to 13 games. Once again, the committee placed Texas Tech in the three seed. How did that turn out for them last year? Oh yeah, they made the Elite Eight with ease before losing to the eventual national champions. This year, they’re just as aggressive and talented. Northern Kentucky will be but a road bump in another long tournament run. At the beginning of this season, Nevada looked like they could be top five in the nation. However, the magic that they used to have has petered out. Florida, on the other hand, is always a threat to shake the ground when March comes along. The Gators have been firing on all cylinders, knocking LSU out of the SEC tournament before losing a close one to red-hot Auburn in the championship. As for Nevada, well it’s just not a good sign when you peak at the beginning of the season. Closing out the first round of tournament play stars a Michigan team that just lost a tough back-and-forth battle to rivals Michigan State in the Big Ten tournament facing off against a Montana team that’s better than their seed suggests. In what may be a closer game than people are expecting, the previous tournament runner-up will walk away victorious with hopes of reaching the height they did last year. Woah, time out. Let me explain this one. I know many people have Kentucky winning the entire tournament, especially since they would’ve likely been a 1-seed if they could’ve beaten Tennessee and then Auburn in the SEC tournament, but let me explain. I agree that they are an incredibly talented team, but they have struggled against teams with very strong offenses. On the season, they are 1-2 against Tennessee, who seem to play exclusively offense. Now I’m not saying Wofford is as good as Tennessee, but their combination of incredible 3-point shooting and their momentum going in may prove to be too much for Kentucky to handle. Watch out for Wofford as they could be a Cinderella story.